Oh, my goodness, Million Dollar Pie is so mouthwatering, so drool-worthy, you will be ecstatic after the first bite. 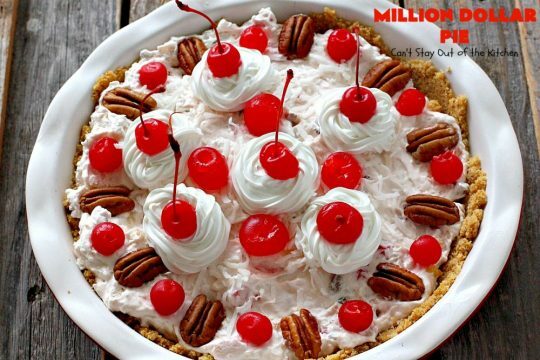 This pie is absolutely amazing. Every bite is filled with maraschino cherries, pineapple, coconut and pecans in a rich base of sweetened condensed milk and non-dairy whipped topping. 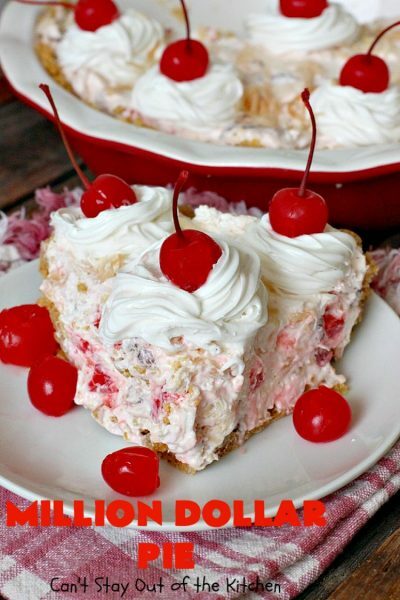 It’s placed in a baked graham cracker crust, and I’m telling you, this dessert will become your new favorite! 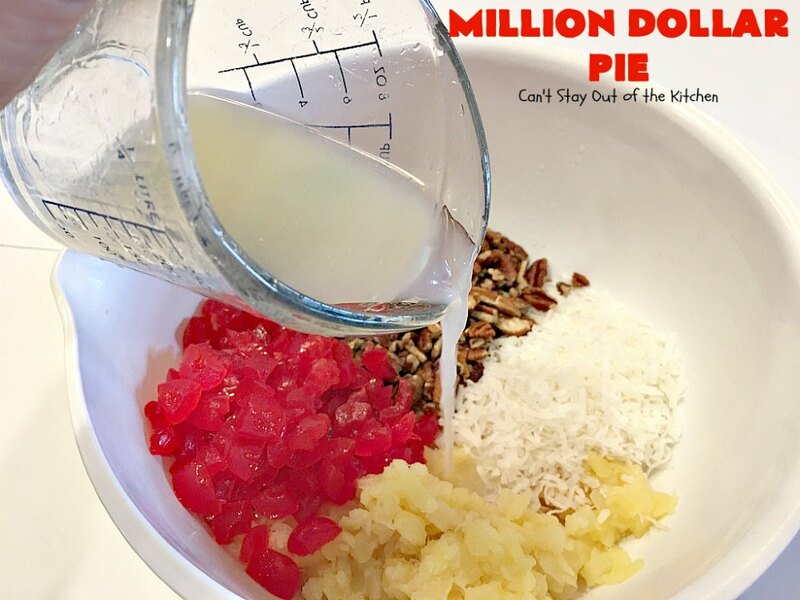 Hey, on top of that, Million Dollar Pie is really easy to make too! Yay. While I made my own graham cracker crusts, you can just as easily purchase store-bought crusts to save time. After baking and cooling the crusts, it really only takes about 5-7 minutes to whip up the filling. You can decorate the top, or not, depending on how you feel and where you want to take the dessert. Since the recipe makes two pies, I decorated each one slightly differently. 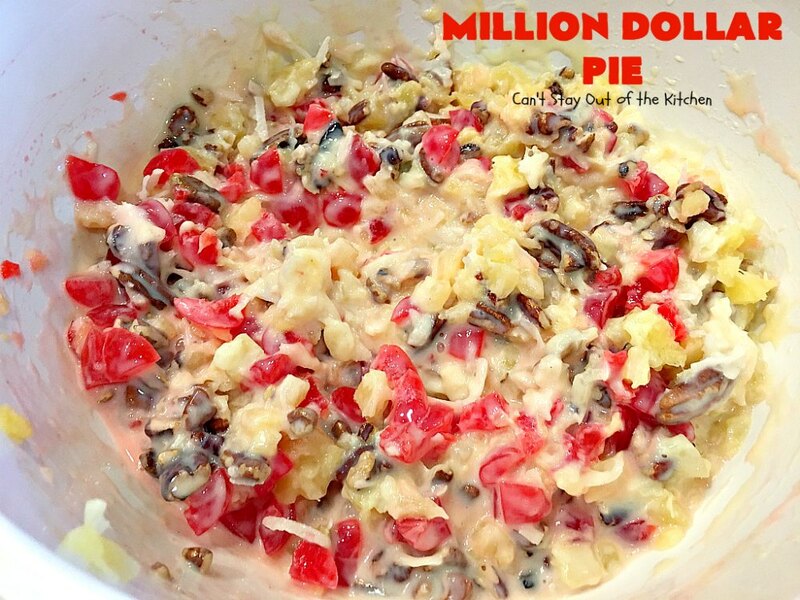 We had some friends over for dinner back in August and this pie was a huge hit. But I still had another pie that I chose to put in my freezer. The following week I served it at our Friday night weekly care group fellowship. I think we had three desserts that night, but even the children wanted a piece of the pie! To say everyone loved it, is the understatement of the year. They raved over it. 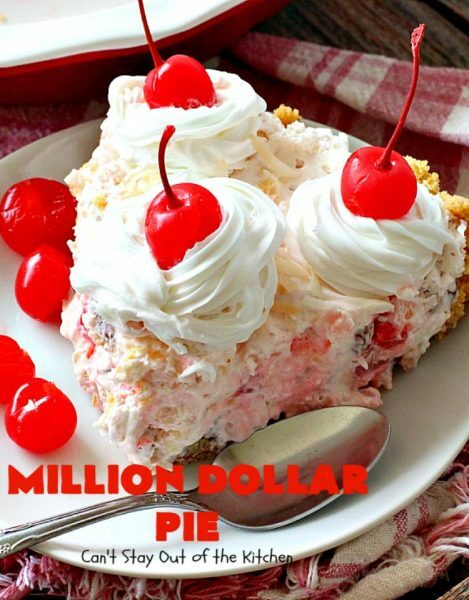 If you’re in the mood for a tempting dessert to tantalize your taste buds and satisfy your latest sweet tooth craving, please give Million Dollar Pie a try. 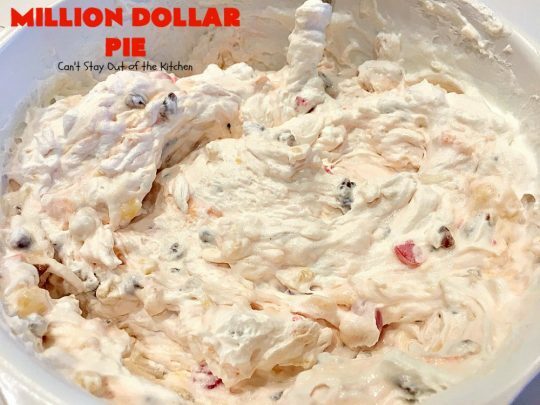 If you need a dessert for potluck or even the holidays, I can’t stress enough how totally satisfying this pie is. The great thing about this pie is you can make one for now and freeze one for later. Or, if you’re planning on having a lot of company, you can get 16 servings out of both pies. 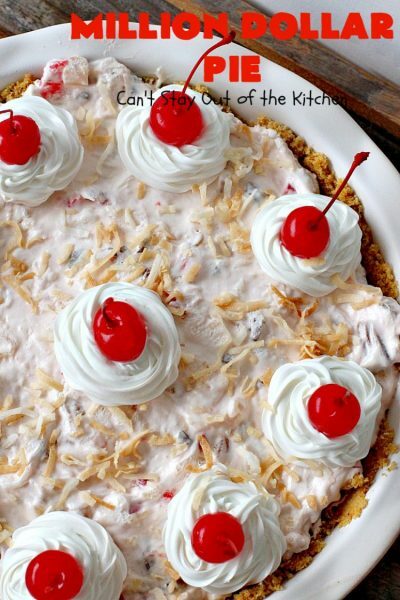 Yes, you can direct that slab of pie right this way, thank you very much! Million Dollar Pie is so outrageously good, you will be drooling from the first bite. It was sooooooo, sooooooo good. 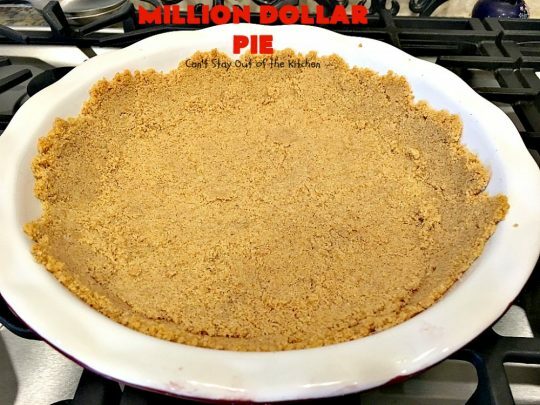 On one pie I put regular coconut. 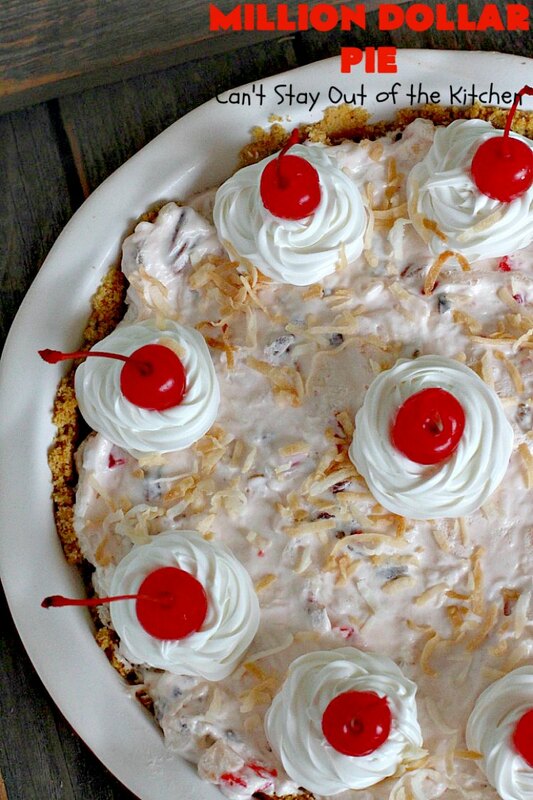 On the other pie I added toasted coconut. 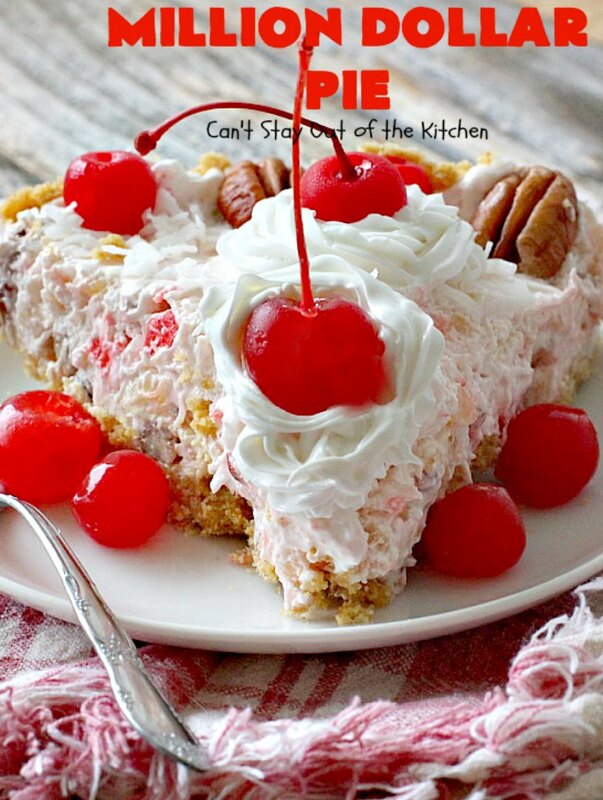 This one was decorated with pecans, icing swirls and maraschino cherries. This pie was decorated more simply with toasted coconut, icing swirls and maraschino cherries. 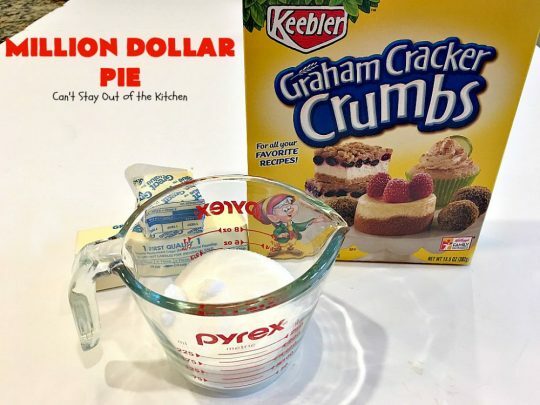 I used these ingredients for the graham cracker crust. But to save time, you can purchase two store-bought graham cracker crusts. Melt butter. 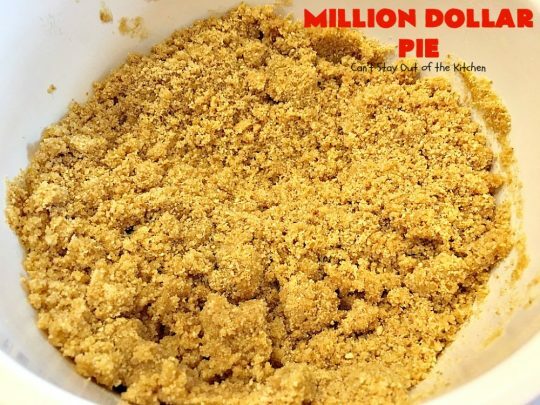 Combine with sugar and graham cracker crumbs. Stir well to combine. Press firmly into two pie shells. 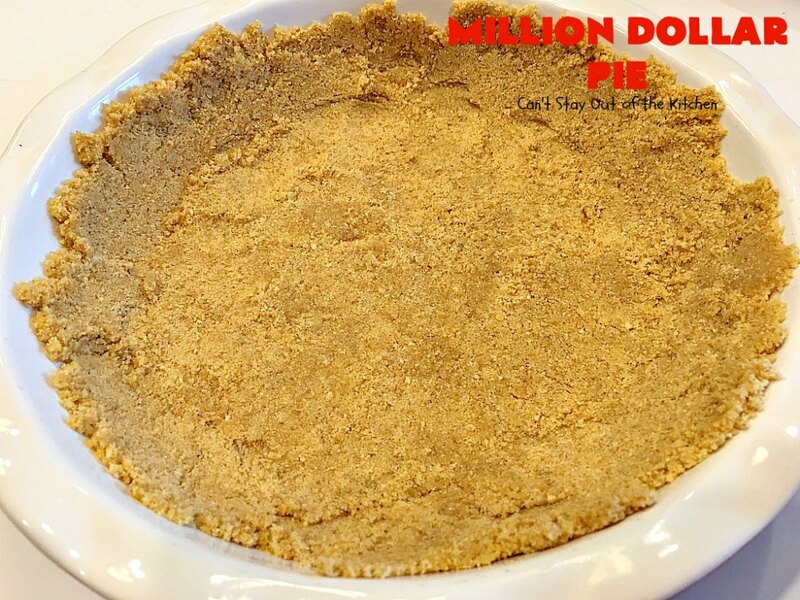 (Or, you can use two pre-made graham cracker crusts). Bake about 5-7 minutes at 350 according to the graham cracker package directions. Cool crust completely before adding filling ingredients. (I placed mine in the freezer for about 20 minutes to quick-cool them). 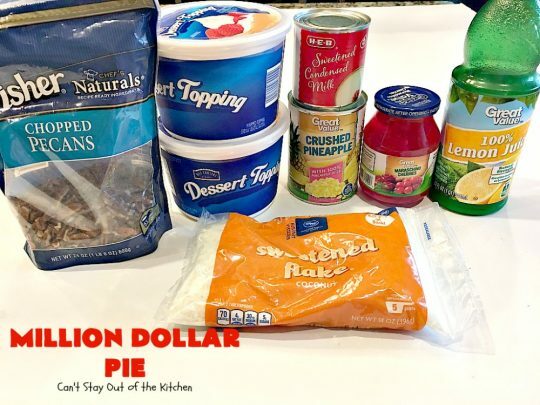 I used these ingredients for the filling. 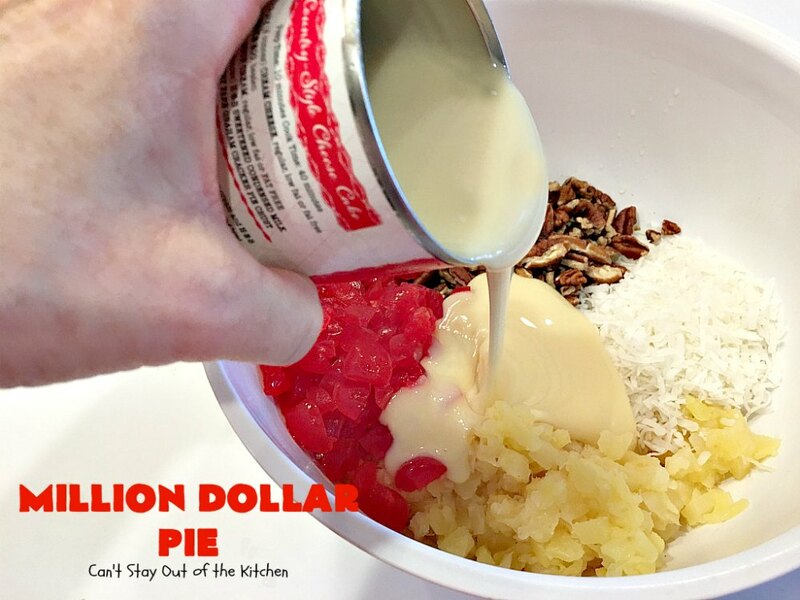 Place drained pineapple, maraschino cherries, coconut and pecans in a mixing bowl. Stir ingredients again to combine. Place pie filling into two cooled graham cracker crusts. Refrigerate pie until ready to serve. This pie is incredibly delicious. The filling is so scrumptious, I could eat gobs of it! Million Dollar Pie will certainly make you feel like a million bucks! 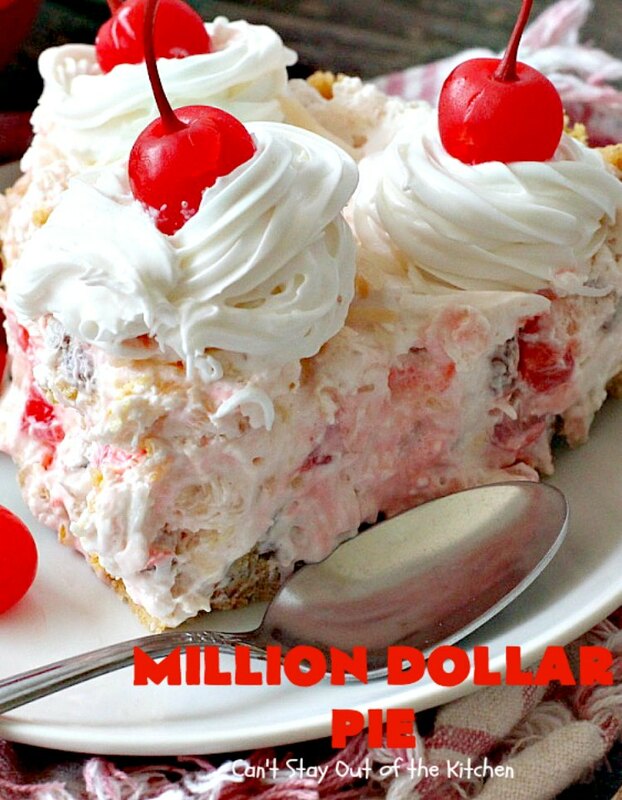 If you love cherries, you’ll love Million Dollar Pie! 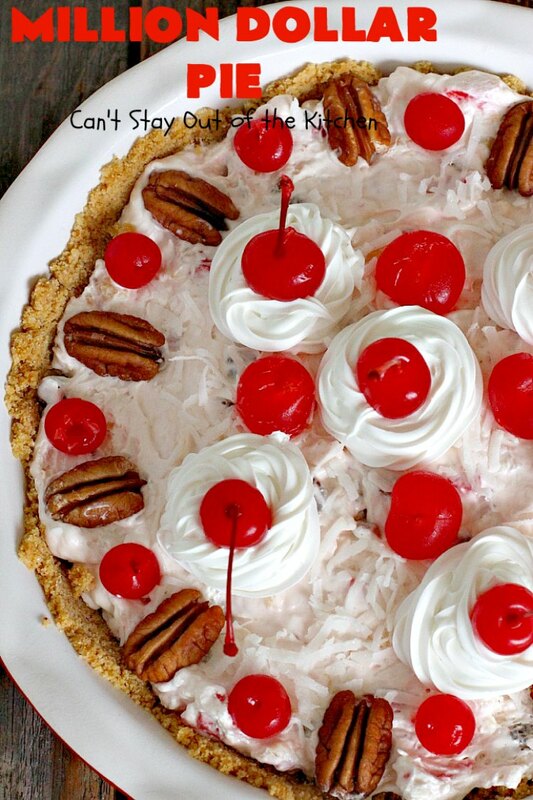 The texture of the pie is so delightful. For those who don’t like eating cake for birthdays, this pie is the perfect substitute! 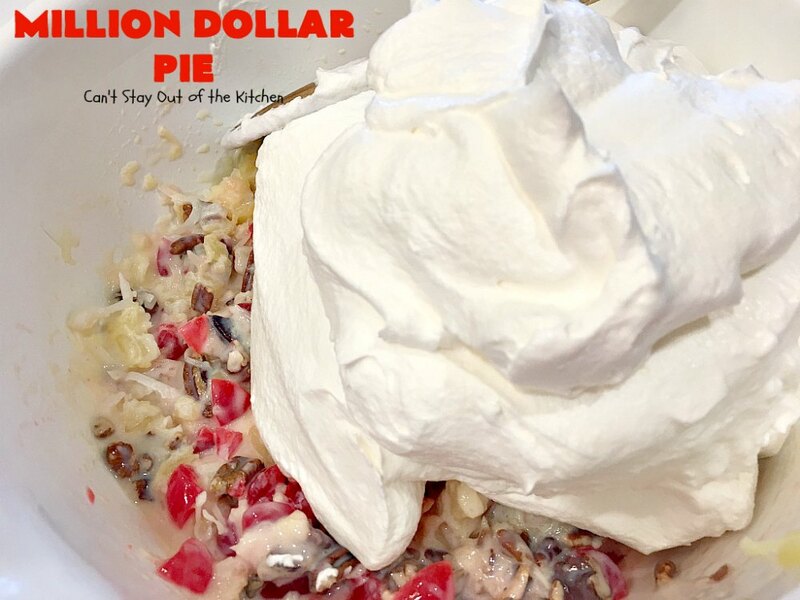 Million Dollar Pie is terrific for holidays like Thanksgiving, Christmas, Easter, Mother’s Day or Father’s Day. After all, you can never have too much dessert! This rich, decadent pie is filled with maraschino cherries, coconut, pecans and pineapple in a creamy base of sweetened condensed milk and non-dairy whipped topping. This easy pie is perfect for holidays, potlucks or company dinners. Combine milk, lemon juice, coconut, pineapple, cherries and nuts. 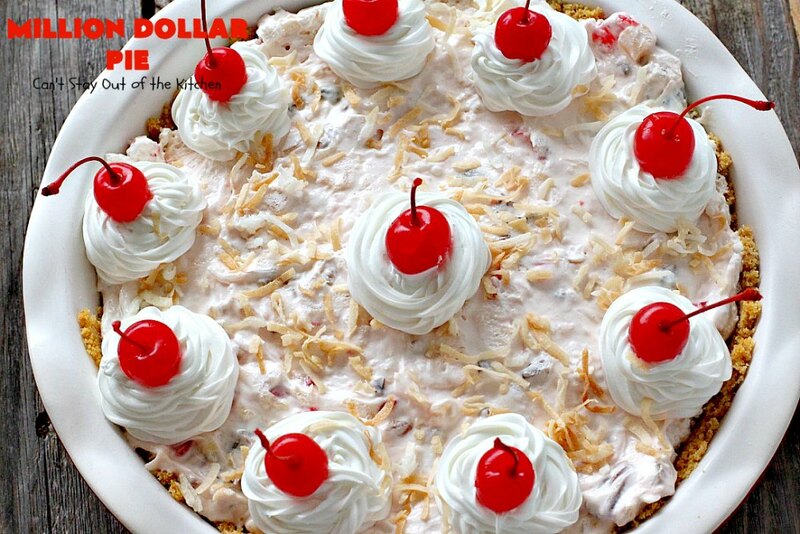 Garnish with additional cool whip, coconut and maraschino cherries, if desired. Chill at least three hours or overnight. NOTE: I made homemade graham cracker crusts. Each crust took 1 ¼ cups graham cracker crumbs, ¼ cup sugar and 1/3 cup unsalted butter, melted. Stir to combine. Bake at 375° for 7 minutes. Cool completely before adding pie filling. NOTE: I froze my graham cracker crusts after baking for about 20 minutes to quick-cool the crusts. 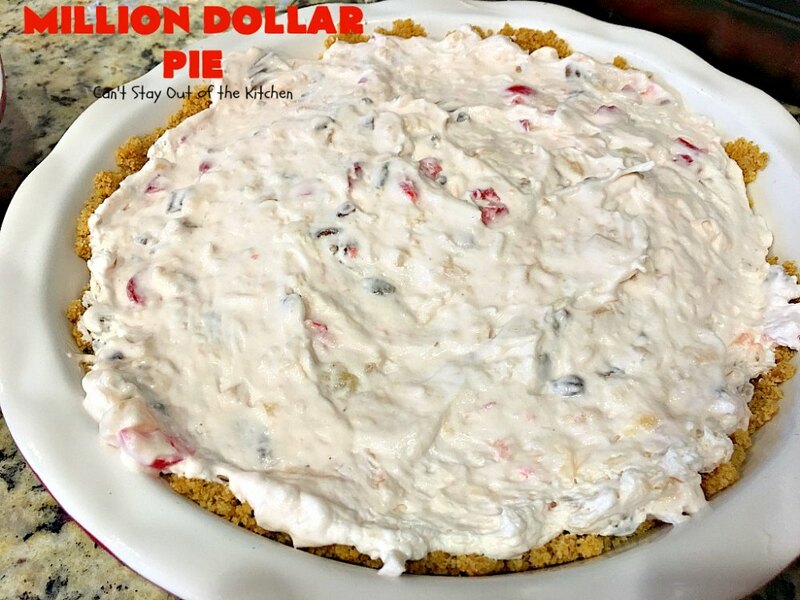 Million Dollar Pie is a great pie to take to potlucks or family reunions. Everyone raves over it. 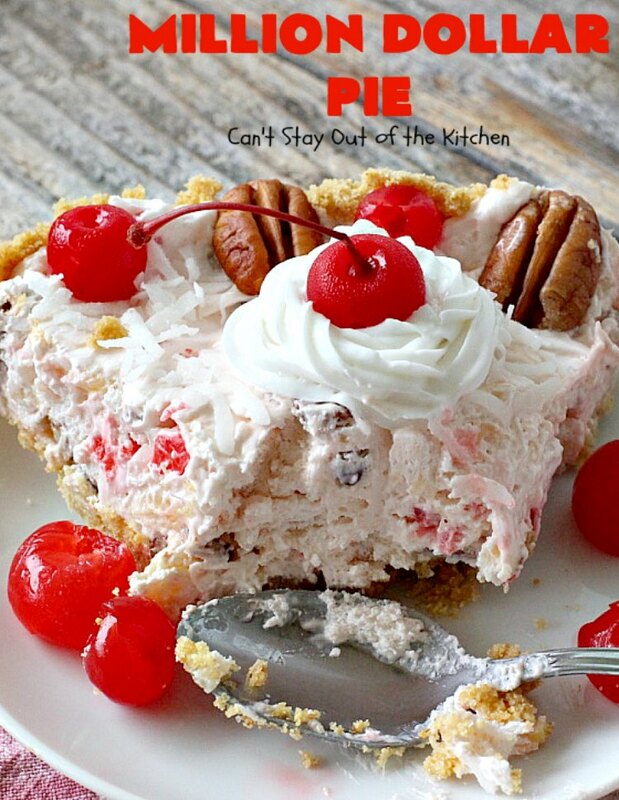 This pie will surely satisfy any sweet tooth craving you’re having. We loved Million Dollar Pie. The fact that it’s easy to make is a real bonus. 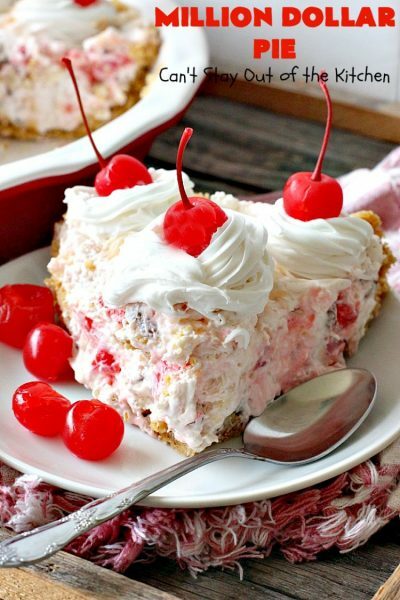 This is the perfect dessert for those hot summer days when it just seems way too hot to cook but you still feel like a beautiful sweet dessert. I hope we still get some of those warmer days ,but seems to me we are more into fall this year. I will tuck this away to be sure to try next summer. Hey, that’s only my take on it, I guess it would be pretty fantastic anytime. Hi, Kim. I wish I had some left to send you! This is so easy, you need to give it a try sometime. I would never eat the mushy pies that I’ve seen. Bad for the health, I presume. 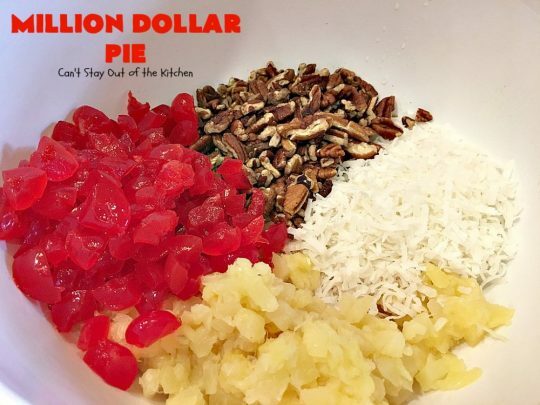 Well, this one is certainly an amazing pie, Karin. I hope you give it a try sometime.